Buy New B + W 72mm XS-Pro Digital ND Vario MRC Nano Filter Malaysia At FotoZZoom! In Bad Kreuznach, the most modern fabrication machines produce highly precise filters in an impressive variety of types and diameters. Quality controls are integrated at all key stages of the production process, and a final inspection of every individual filter ensures the renowned high B+W quality standard. At B+W, our commitment to our guarantee and service are taken seriously. Continuous improvements and new developments enable users to achieve their best possible images. By comparison, a cheap filter can reduce the imaging performance of a high-quality lens quite dramatically! 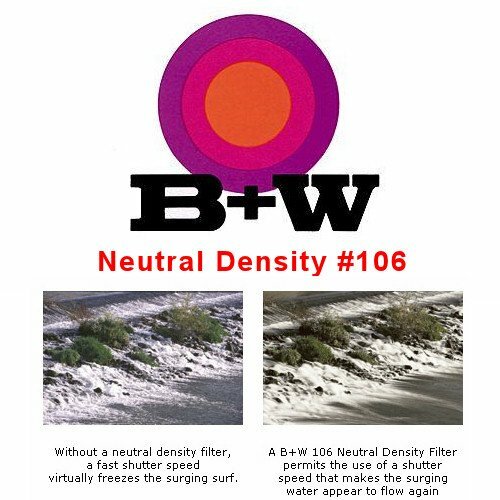 Therefore, consider the quality of a filter as seriously as you would consider the choice of your lenses – look for the B+W brand, because the quality of the image depends upon what is in front of the lens! Because of its effect the B+W Vario ND filter can be adapted to a wide range of shooting situations and photographic requirements. Protrait photographers need for example even in bright ambient light large apertures in order to optically separate the subject from the back-ground. Using extremely long exposure times, architectural photographers can make people passing throught the subject "invisible". In landscape photography flowing water or the sea surface in broad daylight appears fluffy and soft when using long exporesure times. * Combineable with fixed ND filters for even more extreme light attenuation.